Libby Pritchett Designs: April Desktop Freebie! Sheri here with a fun and Springy new desktop for April! I'm so excited that Spring is finally starting to set in, and I hope this helps get you in the mood for nice weather and all the sounds that come along with Spring! I hope you enjoy it! And it comes in two sizes with and without calendars! And I used Libby's fun kit called AND YOUR BIRD CAN SING! Thank you so much for this post. 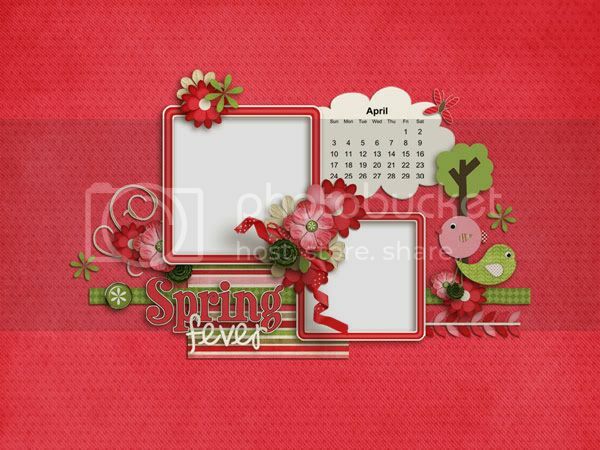 I want to let you know that I posted a link to your blog in CBH Digital Scrapbooking Freebies, under the Page 4 post on Mar. 29, 2011. Thanks again.